Few people relish a trip to the doctor or hospital, and even fewer look forward to twilight years potentially spent in an assisted-care facility. But if next-generation technologies in health care could make those experiences better, getting a whiff of that unmistakable antiseptic hospital smell might not be so bad. Several companies exploring 3D technologies, augmented reality, and virtual reality in health care certainly hope so. Any technology or advancement in health care has two primary sets of stakeholders: the doctors/caregivers and the patients. And for 3D technologies, AR, and VR, that’s no different. For doctors and other caregivers, these technologies are driving big leaps forward in training and education. For patients, it’s all about greater engagement and enhanced healing, rehabilitation, and comfort. 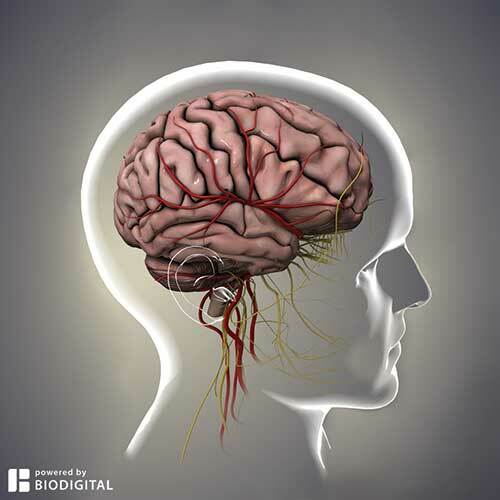 A view of the BioDigital Human brain. Courtesy BioDigital. Training health-care practitioners using 3D imagery is highly effective, as medical-imaging pioneer Dr. Maki Sugimoto and others have found. After all, 3D models are more effective than pictures in a textbook, because students can move and explore the models as they would real cadavers—without the mess. One company enabling 3D exploration is BioDigital, often called the Google Maps of the human body. “Doctors and patients alike are inundated with information,” says BioDigital CEO Frank Sculli. “With 3D, we can make the content more engaging, which leads to increased understanding and retention.” BioDigital’s cloud-based Human 3D model features more than 5,000 anatomical objects to explore, and more than 2,500 schools are using the platform to educate and train students. Another company using 3D technology to democratize health-care education and care is Open Simulation, which is developing an affordable laparoscopic surgical-training simulator. The company’s mission is to train 2.2 million surgical staff to help the 5 billion humans who lack adequate surgical care. “Affordability, real-time interaction, and 3D visualization are the most appreciated features of our solution,” says Yeshwanth Pulijala, Open Simulation’s head of medical visualization. 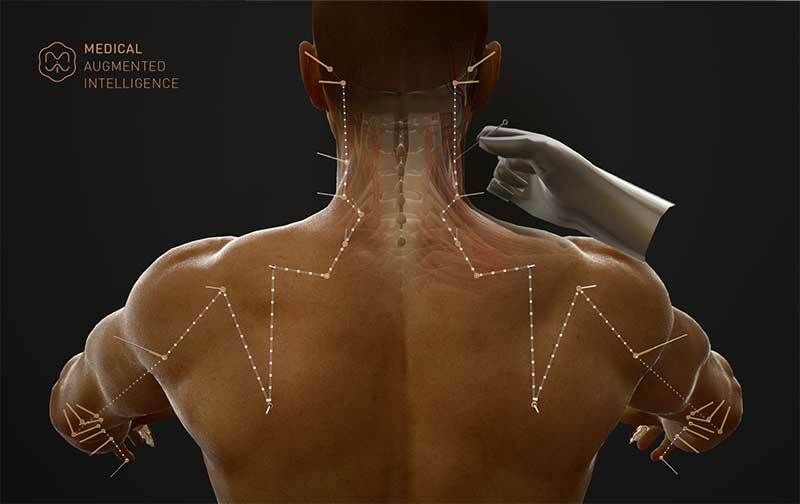 A view of acupuncture points on a 3D model. Courtesy Medical Augmented Intelligence. Beyond the individual’s understanding, 3D technologies provide a more collaborative, augmented-reality experience. “Our platform allows students and instructors to gather and interact in this virtual space without physically going to the training facility,” Jang says. 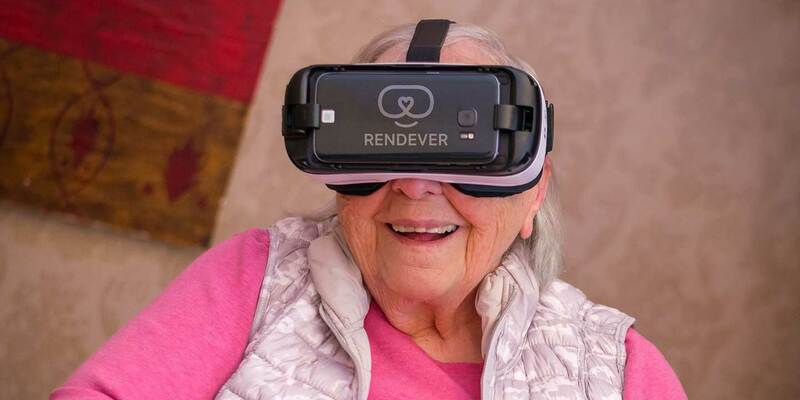 Just as 3D, VR, and AR are enabling new types of medical training, several companies are using these technologies to engage patients in learning, rehabilitation, and therapy to deal with things like pain, aging, and anxiety. 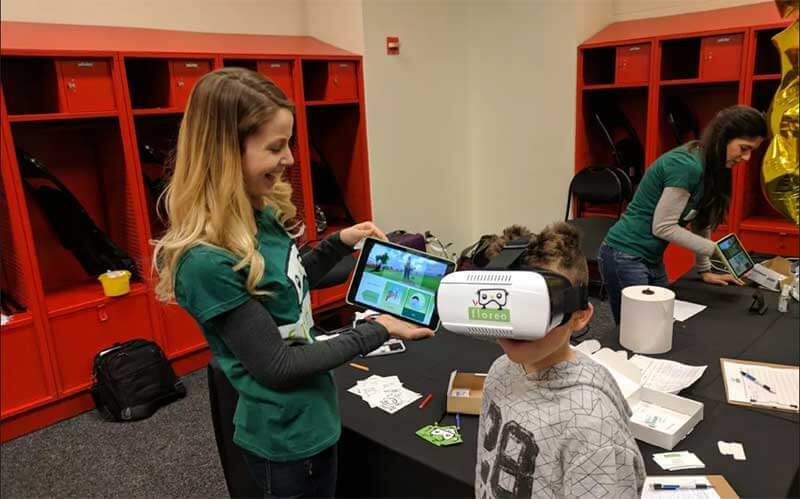 Floreo’s VR platform helps children with autism. Courtesy Floreo. AppliedVR conducts VR research on usability and effectiveness and publishes case studies and white papers on everything from preprocedural anxiety to depression. DeepStream VR, a research project of VR-tech company Firsthand Technology, explores VR for pain management, physical therapy, and rehabilitation. Some of its research has found that VR can change the opioids in the brain, delivering increased pain relief without using narcotics like morphine, which are addictive and have diminishing effectiveness over time. As more research comes to the fore, VR and other technologies will proliferate in all areas of medicine and patient care. Whether being used for practitioner education or patient engagement, health care is waiting to be revolutionized.